EXCLUSIVE! Some people count their blessings at bedtime. But wouldn't you rather laugh yourself to sleep? 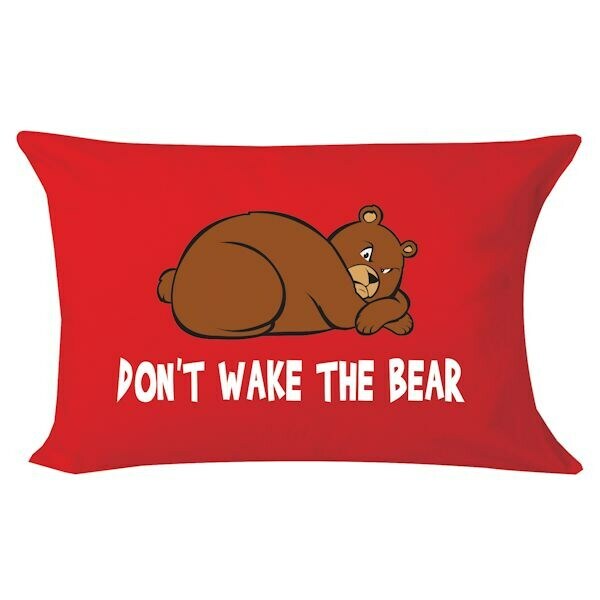 Our punny pillowcases add a splash of color and cool-animal style; get an assortment to create a completely unique menagerie of wisecracking critters for your resting spot. Machine washable turn inside out. Poly/Cotton blend with 2" hem. Imported. Fits a standard pillow.